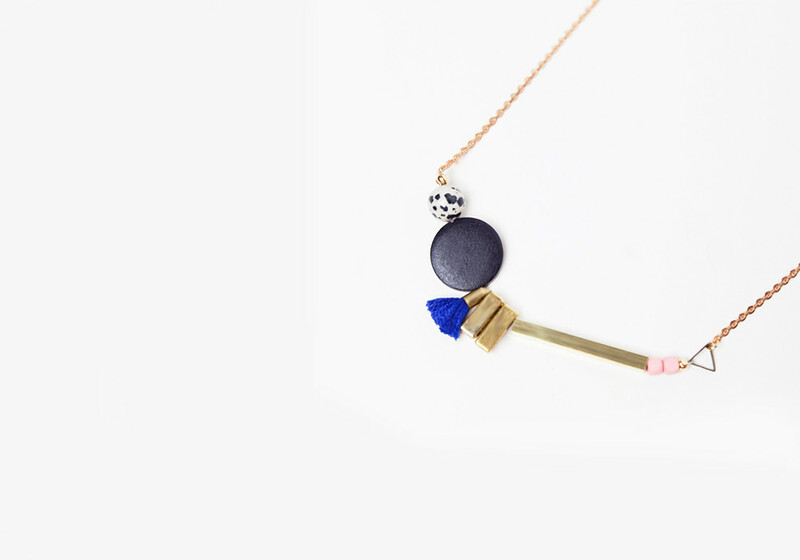 Sarah Fox is the designer behind Chicago-based jewelry line Cursive Design. 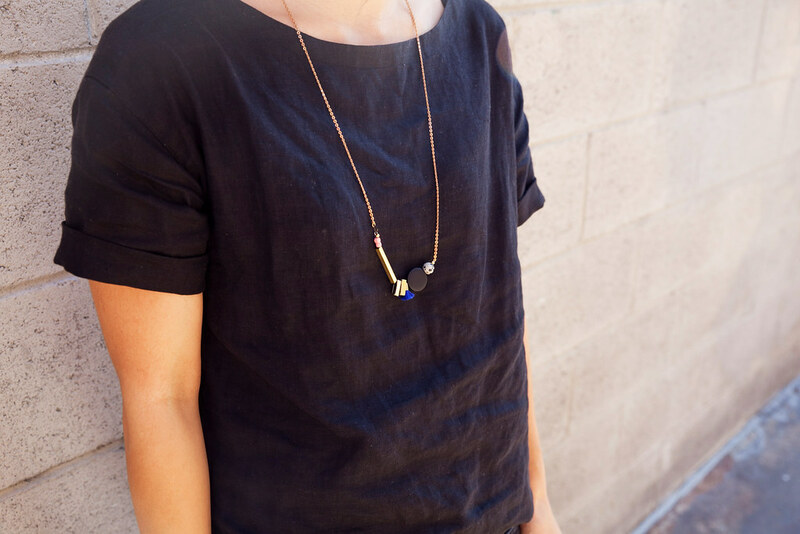 Founded in 2006, the line is directly influenced by Sarah’s background in sculpture, color theory, and lighting design. Growing up in North Dakota, Sarah rarely thought about fashion, but moving to Boston for college and then transferring to The School of the Art Institute of Chicago exposed her to a range of ideas and opportunities. 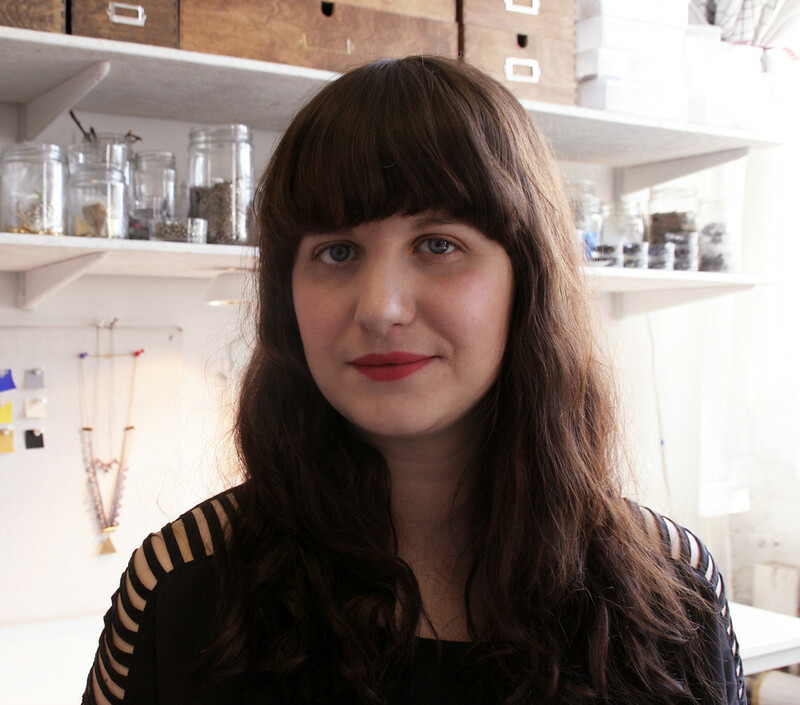 After studying sculpture intensely, Sarah began making housewares and jewelry. Cursive Design is an ever-evolving collection that strikes a balance between everyday wearable pieces and subtle statement-makers, characterized by playful shape compositions and relaxed geometry. Inspired by painters such as Hans Hoffmann, Sarah pays special attention to color, choosing to hand paint many of her beads. All of the pieces are made by hand in Sarah’s West Side Chicago studio, where she continues to experiment with large-scale sculpture and other art forms.